Vote HERE each day until 10th July! For a little Rockbjörnen history check out our article from 3 years ago. Nomination period has started for this year’s Rockbjörnen (music prize awarded by Aftonbladet annually). 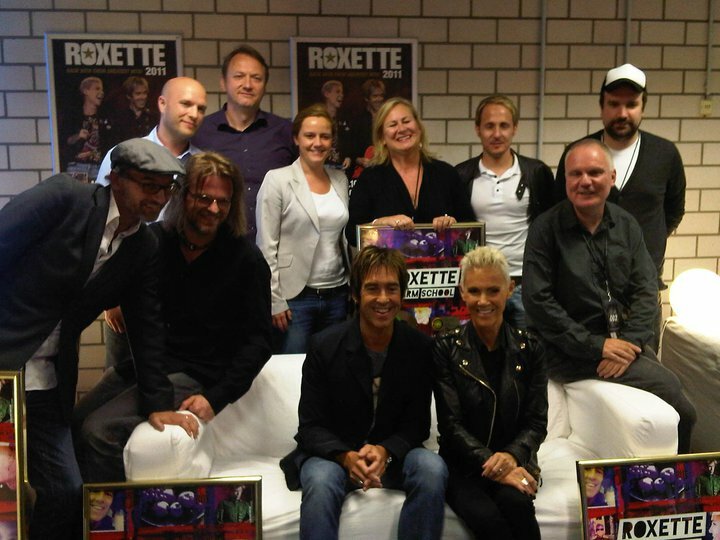 2 years ago we wrote about Roxette’s Rockbjörnen history and last year our collective voting for Marie was enough for her to be on the shortlist. Unfortunately, in the end she didn’t win the award, but now here is the chance to vote again. 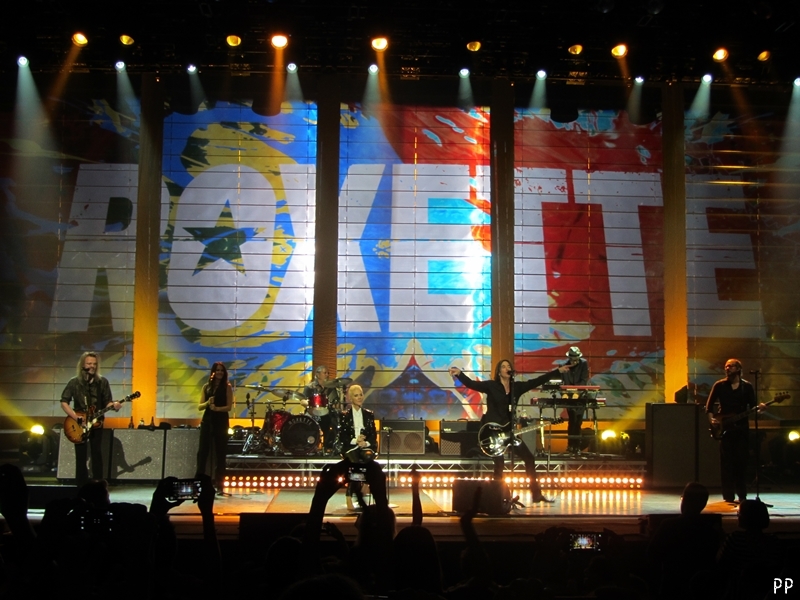 Since Rockbjörnen is focusing on live acts and Roxette is now on tour, we can vote easily. So, please, fill in at least the live band of the year and fans of the year boxes at the voting link. You can surely fill in other boxes, too. This year Aftonbladet introduced a drop down menu for those who find it hard to nominate a band / artist / etc. by themselves and if you check it, you can see they have Roxette on the list for the bands and Roxette fans on the list for the fans of the year. Yay! Vote HERE each day until 22nd July! 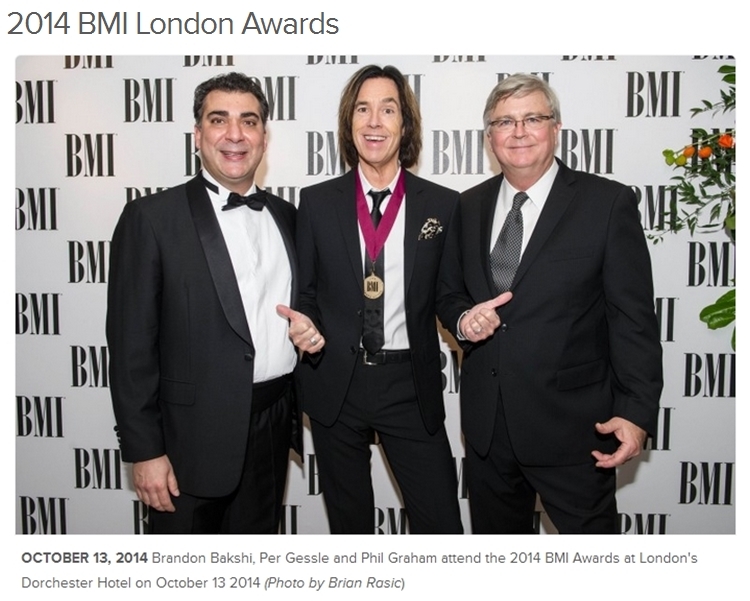 The 2014 BMI London Awards took place at the Dorchester Hotel (Park Lane) tonight. The invitation-only gala recognizes the UK and European songwriters and publishers of the past year’s most-played BMI songs on American radio and television. 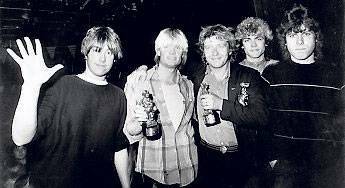 As Per posted about it earlier today, he and Mats MP Persson were there to receive the Million-Air Awards for Listen To Your Heart and It Must Have Been Love for the songs being played more than 5 million times each. Per has been prepared for this event since at least a year ago, when he posted a pic of him and MP from the 2005 gala. 5 million plays! Sounds fab, doesn’t it! I mean it’s really huge! Just to make it easier (or harder) to imagine, 5 million plays of LTYH means appr. 50 years if it were constantly played and 5 million plays of IMHBL means appr. 41 years. Amazing! OVER five million radioplays in the US. Happy. Proud. Thanx everyone for listening! /P. Check the photo on BMI’s website! I hope we’re good role models for the new generation. One more short PG interview has been uploaded by BMI on 27th October. Check it out by clicking HERE. 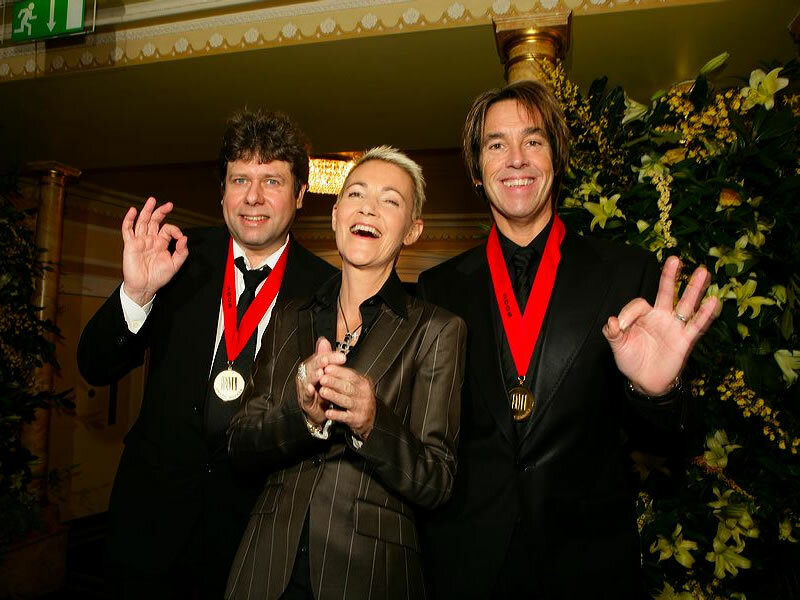 MP, Marie and Per at the BMI Awards gala in 2005. Pic from BMI. 1 million plays earlier, It Must Have Been Love got the BMI Million-Air Award for 4 million plays in 2005. Marie and Per were there at the gala. You’ll find some pics here. You can watch a video with Per from that year about how he started and another about how he writes. It’s great! I mean this is for 4 million airplays. It’s the second time I’m part of it. This is for Listen To Your Heart, last time it was for It Must Have Been Love. It’s just amazing! Amazing! I have to pinch my arm. It’s just great! It all started in the beginning of June, when we asked you to vote for Marie Fredriksson as live artist of the year and help her winning a Rockbjörnen award. Roxers are very good at voting, so it was not a real surprise when we got to see Marie on the shortlist for Swedish female live artist of the year. It was a very happy moment for all of us. The voting went on and on, each day more and more fans joined us and kept their fingers crossed for our votes being enough for Marie to win. Aftonbladet also encouraged the voting several times either on their website or in their Facebook posts, sometimes also using Marie’s photo vs. other artists which made us vote even harder. According to Aftonbladet, it was a record period for them regarding the number of votes. They registered appr. 1 million votes in total. Thanx everyone, who voted for Marie! Aftonbladet broadcast the gala live, but we couldn’t see Ms Effe at the show. Not seeing her arriving to the gala felt like a prediction that the winner could be someone else. Also because of the fact that only 1 shortlisted artist (in this category I mean) arrived to the gala. This time the winner in the category is Zara Larsson. Actually, winning a Rockbjörn or not, I can say it in each and every fan’s name: Marie is the female live artist of the year for all of us! Can’t wait to hear you live again, Marie! See you on tour! Besides mentioning Roxette and Gyllene Tider several times during the gala, there were many Rockbjörnen historical pics shown on a background screen. This one as well. Marie Fredriksson for female live artist of the year – VOTE! Fill in your name (first name & surname), e-mail address, year of birth (födelseår) and whether you are female (kvinna) or male (man), then reply to the control question (e.g. 5 + 5 = 10). If you want to receive info and offers from Aftonbladet, leave the tick in. VOTE each day until 20th August! She deserves it so much! Voting period has started for this year’s Rockbjörnen (music prize awarded by Aftonbladet annually). 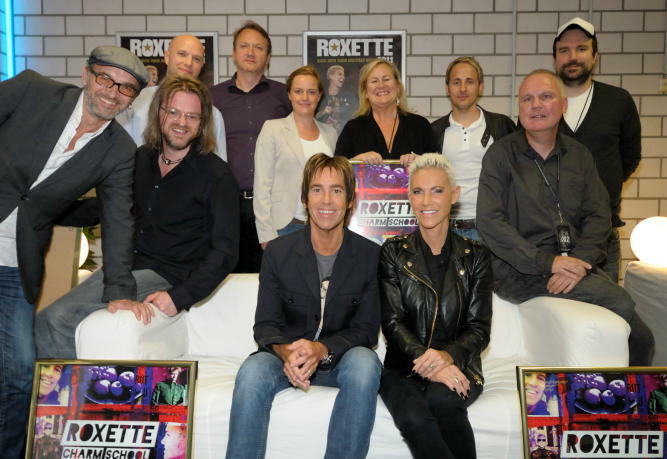 Last year we summarized the achievements of Roxette, Marie, Per and Gyllene Tider in this article. Unfortunately, there was nothing to add to the list in 2013, but now here is the chance to vote again. Since Rockbjörnen is focusing on live acts and Marie Fredriksson had a fantastic solo tour this year, we can easily vote. So, please, fill in at least the female live artist of the year and concert of the year at the voting link. You can surely fill in other boxes, too. If you couldn’t attend Marie’s tour, check our concert reviews, so you can decide which one you would vote for. Vote HERE each day until 28th July! After filling it in, click on ”Nästa” (= ”Next”) and fill in your name (first name & surname), e-mail address, year of birth (födelseår) and whether you are female (kvinna) or male (man), then reply to the control question (e.g. 5 + 5 = 10). If you want to receive info and offers from Aftonbladet, leave the tick in. ”Tillbaka” means ”Back”, ”Rösta” means ”Vote”. That’s it. Rockbjörnen: vote each day until the end of July! 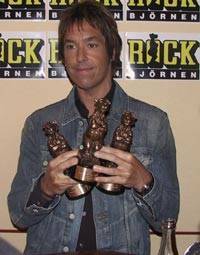 Rockbjörnen is a music prize in Sweden, divided into several categories, which is awarded annually by Aftonbladet. The prize was first awarded in 1979. Since 2010 they are focusing more on live performances. Swedish song of the year: Gyllene Tider – Gå & fiska! Swedish album of the year: Gyllene Tider – Finn 5 fel! Album of the year, because it is very difficult for an old band like us to make a relevant and popular album, which in addition is good. Well, Dags att tänka på refrängen would deserve to be the Swedish album of the year, wouldn’t it? It’s a pity there is no ”Swedish album of the year” category anymore, but there is still space for your favourite song from the album. And you know who the Swedish live artists of the year are and which the Swedish live band of the year is, right? 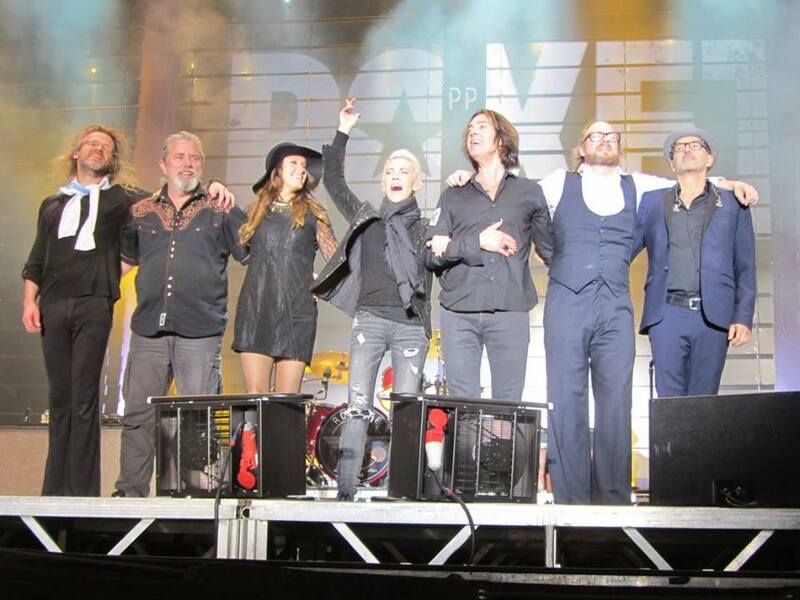 Gyllene Tider’s tour has not yet started (only 1 month left! ), but you might already have a thought which should be the Concert of the year. So, c’mon guys & girls! Vote HERE until you drop (but at least until 28th July 😉 – each day)! © All photos are from Aftonbladet’s archive. 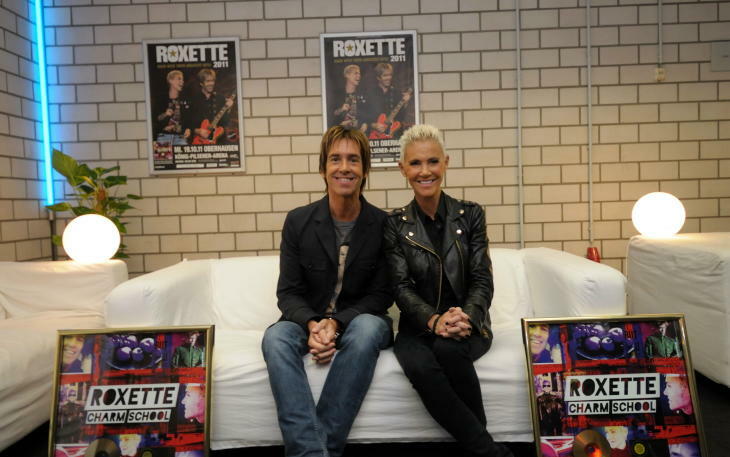 Roxette are nominated for the German Echo award with their album “Charm School”. 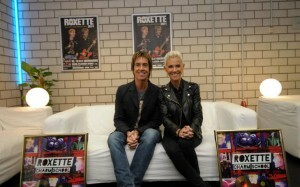 The category Roxette is nominated is called “Gruppe International Rock / Pop” – best international Rock/Pop group. The award is really important in Germany, as much important as the Grammys in the US. There’s not a jury choosing the winner. The sales charts decide the nominees and in the end – the winner. The ranking of the winners in most categories results from the added up weeks results of the Media Control sales charts in February of one year to January of the following year. This has the consequence that the absolute sales figures – should be – distributed over the entire year. This easy distortion of the results is possible. Good sales of the artists who achieve over longer periods (no weekly current top positions in the charts) good sales results will be penalized. In some categories (lifetime achievement and special rates) are the winners selected by a jury, the most successful live act is nationally determined via online voting. The awarding will take place on March 22th in Berlin. The show will be broadcast the same evening. Other nominees are Coldplay, Sunrise Avenue, Snow Patrol and Superheavy. According to wikipedia Roxette were nominated for the ECHO award in the categorie “best international group” at least in the years 1992, 1993 & 1995 – (For the year 1994 no nominations were listed, but as Roxette had no new album out the year before, I guess they weren’t nominated). 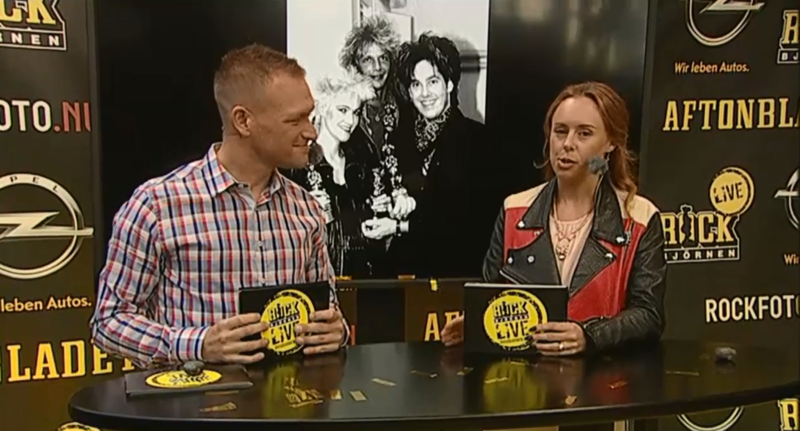 Roxette nominated for best live band! Roxette made it among the finalists for Aftonbladet’s annual Rockbjörnen awards. They are nominated for “live band of the year” (“Årets livegrupp”). Now the final voting is open to the public. There’s also a blank spot for “concert of the year” (“Årets konsert”), where a vote for Roxette’s Gothenburg show would be a lovely choice. You have to fill in artist, location and month (Roxette, Göteborg, Juli). The voting is open until August 24 and you can vote daily. Let’s go! Christoffer Lundquist received the Sir George Martin Music Award yesterday evening at a gala event at Palladium, Malmö (Sweden). Sir George Martin, whom you’ll know as the producer of The Beatles, joined on stage to congratulate Christoffer personally. Michael Saxell (who wrote the lyrics in Christoffer’s album) and Helena Josefsson were among those who attended. Helena also performed some songs on stage. Here is a collection of links about the event and Christoffer. NSK.se including a video of and interview with Christoffer, who also can be seen performing Tiny Penelope from his album “Through The Window” in his studio.